Jencor clients SAVE $250.00 off of every full roofing or siding project – speak with your Expert Project Consultant for more details. 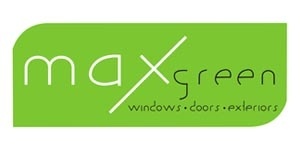 Like in their Window and Door Division, MAXgreen specializes in LIFETIME LEAK-PROOF systems for Roofing and Siding, and stands behind all of their work with an unmatched 10-Year LEAK-PROOF Installation Warranty. This is much different than a typical “workmanship warranty” as it removes all risk of leaks from the homeowners!